For the past 14 years, Kenyetta has been working for Jon Frankel Dentistry as a Hygiene Assistant, which means that she assists the hygienists while they are cleaning your teeth. More specifically, some of her many job duties include bringing back patients, updating health history records, checking blood pressure, and scheduling appointments. 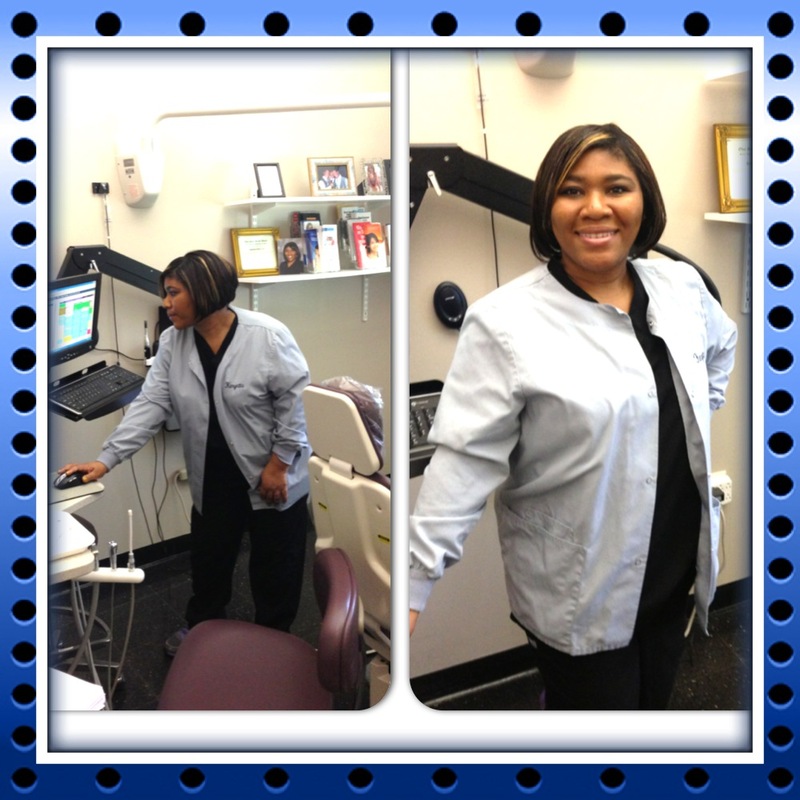 Kenyetta is one of the reasons we are able to tell our patients that Dr. Frankel’s practice is truly a dental family. She particularly loves getting to know the patients. In fact, she said just last week she realized that she has been assisting the same family for several years. “I was able to remember stories about the boys from when they were really young. Now they are 13 and 15 years old. It is great having the opportunity to watch them grow up,” she said. Aside from being a Hygiene Assistant, Kenyetta is also currently wearing Invisalign, which are clear retainers that help align your teeth. “I used to be embarrassed by my smile and very self-conscious of when I was smiling,” she said. Now she is very excited about her results. “I couldn’t be happier with the process, and I have gained a lot of self confidence,” she continued. Outside of the office, Kenyetta is is huge movie buff. Not only does she enjoy going to the movies, but she also has a special place in her heart for the classics with her favorite film being Arsenic and Old Lace starting Cary Grant. Additionally, she enjoys word search puzzles and spending time with her niece and nephew. Do you hear wedding bells? We, at Jon Frankel Dentistry, sure do! Our Employee of the Week, Tami, is getting married tomorrow in Calistoga, California. We are very excited for her and wish her the best. 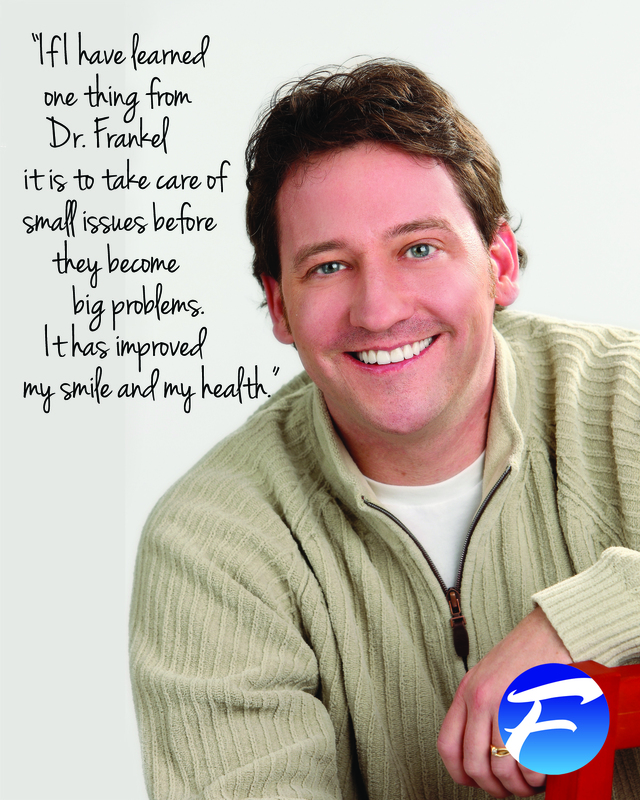 Tami has been a member of Dr. Frankel’s team for thirteen years, and has worked along side Dr. Frankel as he creates unique and beautiful smiles. As a certified EFDA, her job includes being the third and fourth hands assisting the dentist as they perform most restorative and cosmetic procedures. Because she excels at her job and is a role model for new EFDAS, her current title at Jon Frankel Dentistry is Dental Assistants Manager. Tami’s eye for detail is outstanding, which makes her very qualified to work on cosmetic cases. 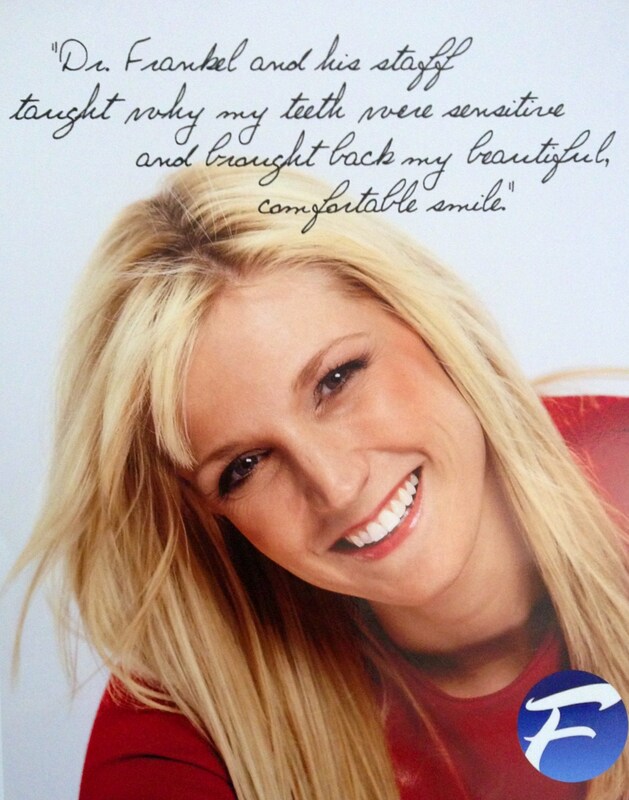 In fact, Tami particularly loves working with cosmetic patients and building beautiful smiles. “There is nothing like working with an amazing patient, especially knowing that I have the ability to make them feel better about themselves and change their life just by enhancing their smile,” she said. According to Dr. Frankel she is “one of the most caring when it comes to our patients. She will go over and above for anyone in our practice.” It is wonderful to have staff members who are so devoted to our patients comfort and well being. When away from the office, Tami enjoys spending time with her family, especially her three children and soon-to-be husband. Additionally, her family loves to spend time on their boat. “We practically live on Catawba Island in the summers,” she said. But Tami and her new husband have one other pastime that has keep them busy. They are currently restoring and rebuilding a car from 1965! Again, we would like to sent our love to Tami and congratulate her on her wedding day! We are proud and happy for her, but also miss her around the office this week! There are a number of reasons teeth become sensitive. Dental decay or cavities are actual holes in the hard tooth surface. These openings allow the sensations of hot and cold, air, sweet or acidic or touch to pass directly to the dental nerve. The dental nerve has one response, discomfort or pain. Left untreated, the opening will grow and continued exposure will irritate the nerve and the inner tooth may become infected. Injury, daily use or simple everyday chewing can cause a tooth to fracture. Fractures can tiny and difficult to spot. A fracture may be another direct entry to the dental nerve and sensitivity. The inflammation and infection associated with gum disease can be silent and not noticeable or the source of sensitivity, discomfort and pain. The floor of the sinus is adjacent to the roots of the upper teeth. A sinus infection can cause teeth to be sensitive. How the teeth touch together or occlude can also be a source of sensitivity. An imbalanced bite may contribute to discomfort of the entire tooth by irritating the nerve. When the gums have receded and the root surface is exposed, the border between the porcelain-like enamel and ceramic-like root surface is a weak point. This area is susceptible to wear especially if the bite is not corrected and or if scrubbed with a hard bristled toothbrush. A deep groove forms and can also be a source of sensitivity. Do not just tolerate sensitive teeth. Co-partner with your Dentist to find the cause of your sensitivity. Once the source is discovered there are options to end the discomfort of sensitive teeth. 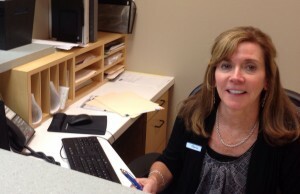 Irene has been an employee of Jon Frankel Dentistry for three years. Her title is Patient Coordinator, which means she is responsible for such things as scheduling, checking insurance, and checking out hygiene patients. With these duties, Irene has become a master of multitasking. Many times she will be able to answer the phone and give the patient seated before her the personalized care that is always offered at Jon Frankel Dentistry. 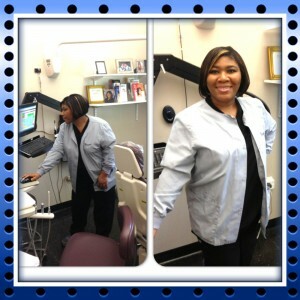 Irene truly loves her job and believes that Dr. Frankel is changing lives a smile at a time. “We are focused on our patients and helping them get the care they need. It is wonderful being part of a staff that gives so much,” Irene said. “I love the patients! We have amazing, friendly patients here! They make my job worthwhile,” Irene continued. It is her love of the patients and her colleagues that makes her “very reliable, and valuable to our office,” said Dr. Frankel. Aside from work, Irene enjoys spending time with her husband of eleven years and her three sons. Having three boys at home keeps her busy, but in her spare time she loves to read. Recently, like most women in America, her favorite series is 50 Shades of Gray. Irene is also an accomplished cake decorator and is able to decorate a cake for any occasion including weddings, birthdays, anniversaries, and graduations. To make her even more busy, Irene recently took up running, and is interested in running 5Ks. Congratulations Irene on being named Employee of the Week, and Thank You for all that you do to keep Jon Frankel Dentistry thriving. Why can’t I just get my teeth cleaned? A dental cleaning or prophylaxis is more than it appears. A regularly scheduled (every 3, 4 or 6 months) teeth cleaning is referenced by previous visits. Areas of concern have been duly noted and are being carefully monitored. The supporting bone and tissue referred to as periodontal tissue has already been evaluated. Visual examinations, X-rays and calibrated measurements called perio-charting have all been recorded. Areas of wear and older restorations are meticulously charted. Oral cancer screenings are performed each visit. At continued care visits, we know you, your medical history and what you need. Changes will be readily noticed and addressed. If it is your first visit or if it has been several years since you have had your teeth cleaned. Updating the information is vital. Generally your first visit will be dedicated to a comprehensive evaluation of your dental and oral health. At that time it will be determined if you are a candidate for a dental cleaning or if you need scaling and root planning. A dental cleaning is a thorough removal of stain, mineral deposits and bacterial plaque of the exposed tooth surface. If it has been several years since the last cleaning often mineral deposits or calculus have formed under the gums. This is a source of infection and inflammation. Scaling will remove the deposits. Root planning will smooth the surface of the tooth under the gums. Generally it requires two appointments. One half of the mouth each visit. Six to eight weeks after the scaling and root planning is completed all the areas will be re-evaluated and a teeth cleaning or prophylaxis will be performed. The first year after a scaling and root planning visits are every three months. After a year the frequency of your teeth cleanings will be determined. There are risks to avoiding dental cleanings and scaling and root planning. The most obvious is loss of teeth due to gum disease. The gums pull away from the teeth and the supporting bone melts away. Healthy gums never bleed. Unhealthy gums may or may not bleed. Gum disease is often silent without any discomfort. A healthy mouth promotes a healthy body. Heart Attack, Stroke, Diabetes, Low Birth Weight in Babies, Miscarriage, Pancreatic Cancer and Alzheimer’s Disease have been correlated to dental and oral health. Often Cardiologists will refer patients for Scaling and Root Planning before Cardiac Procedures. Gum disease stresses overall health and can hamper recovery. Regular visits and thorough dental cleaning every 3, 4 or 6 months prevent small issues from becoming big problems. At Jon Frankel Dentistry we love what we do like caring for our dental family with regularly scheduled dental cleanings and exams. You will not only look great and feel great. You will be a proactive partner if your dental and overall health. There is no doubt about it, Marie is definitely busy. Her job duties of financial manager include financial consultations, processing insurance claims and fees for treatment, as well as employee payroll. But, there is much more to Marie besides her years of dedication to Jon Frankel Dentistry. Originally from Youngstown, Ohio, Marie and her husband moved to Toledo so he could pursue his career opportunities. While in Toledo, Marie attended Owens Community College. Today, in her spare time, she enjoys being active. From running, to biking, to intense gym workouts, Marie enjoys the thrill of physical exercise. In fact, she has even competed in a dual-athalon, where one runs a mile, bikes fifteen miles, then runs another three miles. Since 2005, when the Toledo Free Press named Norm Wamer the 9th most influential person in Toledo sports, he has not let us down. Today, Norm Wamer is the staple of Toledo sports radio, broadcasting weekdays on 106.5 The Ticket’s “Front Row” and covering local high school and professional sports events in his spare time. 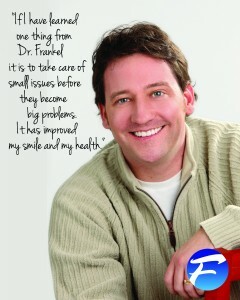 A graduate of Lake High School and the University of Toledo, Norm also calls Jon Frankel Dentistry home. We are proud of our dental families’ accomplishments, especially Norm’s. Most people don’t know that Norm has another side to his sporting talent. He also announces for Toledo’s NWA PCW Wrestling. His enthusiasm excites us all. Check him out as he wrestles NWA photographer, Scott Romer, in the video below.